Hand-selected by our special needs expert, these gifts will not only be a hit with your little one, but will also provide therapeutic benefits! From books to toys and tents, we’ve got you covered this holiday season! Pin Art (~$7) This simple toy will provide hours of fun. Push the pins to make impressions and artistic images and then stand it up on a table or hold it in your hands. Pin Art provides children with visual, auditory and tactile input. They are available in both large and small stocking stuffer sizes. Available at Amazon. Teepee Tent ($20-$50) Everyone needs a space that they can call their own and children are no exception. A child’s bedroom can sometimes be too large or busy to provide the comfort of a safe space, while a tent provides the perfect amount of room for a child to spend time alone. Put some comfortable pillows, blankets, books and fidget toys inside the tent to complete the space. Explain or show your child ways to use the tent. To prevent future issues, also prep your child by mentioning that, when mom or dad says, “two more minutes…tent is all done,” he/she will have to come out of the tent. Available at Carson's and Target. Thomas the Train DC Super Friends ($7-$48) If you have a little train lover at home, these DC Super Friends from Thomas the Train will be a great addition to his/her collection. Our ABA Clinician specifically chose these trains to help teach pretend and dramatic play skills. Some children do not understand how to take on the role (e.g. talk, dress, perform actions of role) of another character or person. Thomas and Friends can help you begin to teach this important skill. The trains are dressed up as superheroes. Remember to teach that Thomas and Friends are pretending and they can change back into their other outfits when they are done playing. Make sure to play trains with your little one and model or show your child how Thomas and his friends can act like superheroes. Available at Amazon and Walmart. Elephant & Piggie Books ($5-$9) Elephant & Piggie Books are not only entertaining, but can help children understand important concepts like sharing, being polite, waiting and even how to play pretend. 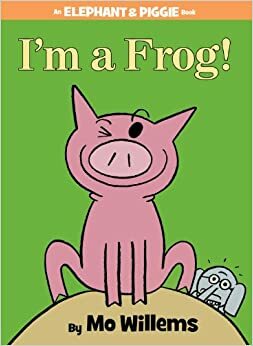 In one of our favorite books by Mo Willems, I’m a Frog, Gerald the elephant is worried because Piggie says he’s a frog. Gerald eventually understands and enjoys pretending to be something he’s not. This is a great book for literal thinkers. Available at Target and Amazon. 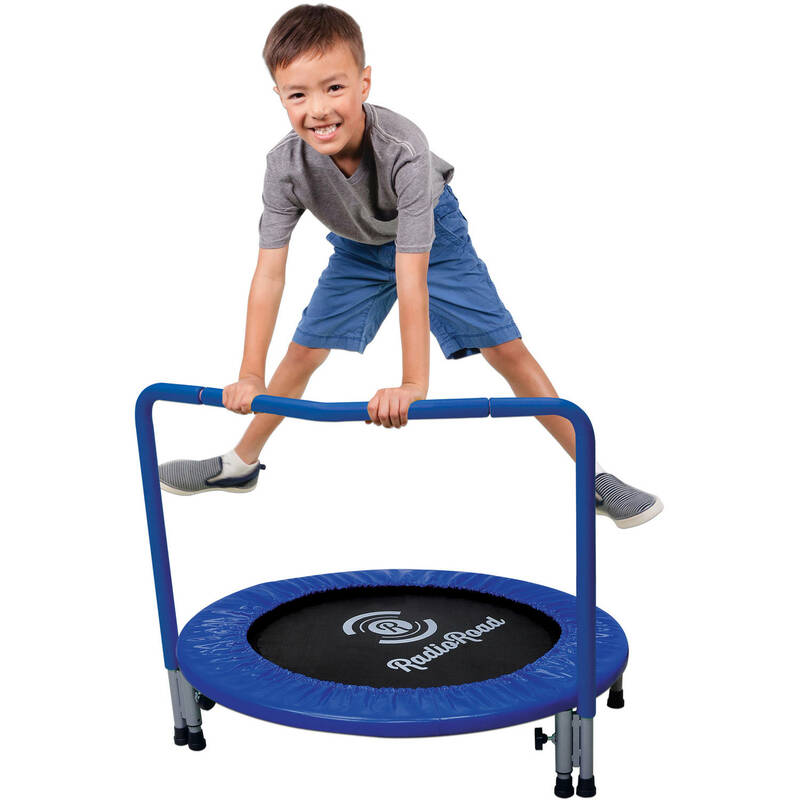 trampoline or a large outdoor trampoline, this gift will surely be a hit. We suggest trampolines with a hand rail for younger children. The proprioceptive input a child receives from jumping can be extremely helpful to many individuals with special needs. Jumping on a trampoline can allow a child to get some energy out in a safe way and, when done jumping, children tend to maintain focus on an activity for longer periods of time. While bouncing on a trampoline, children are also building motor skills, balance and coordination. Available at Toys R Us and Walmart. These swings hold up to 175 lbs and can be used inside or outside and in a variety of ways. 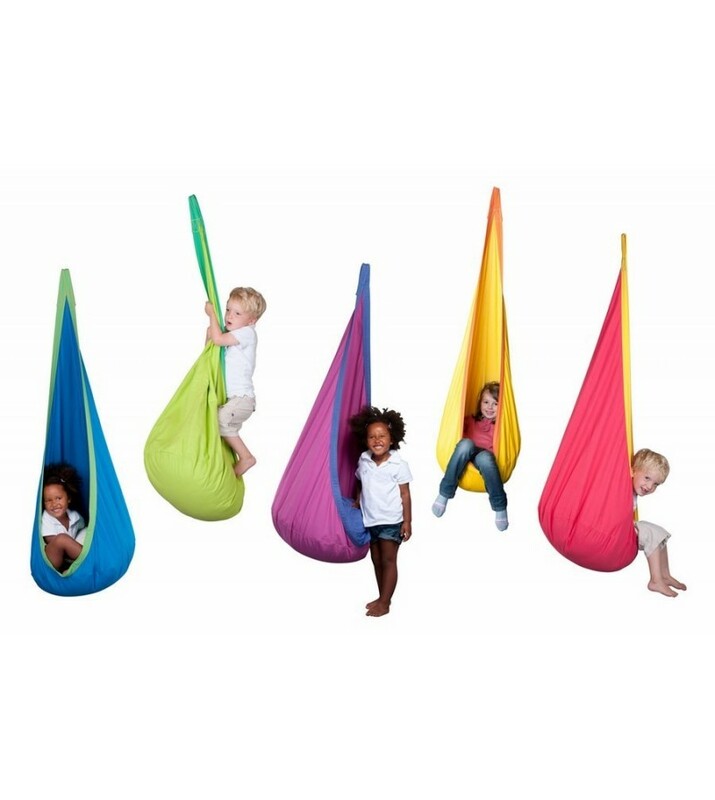 Children can escape and relax while swinging and receiving sensory input. Swings are a great way to allow children an opportunity to organize their vestibular input or their sensory system. Available at La Siesta and Amazon. 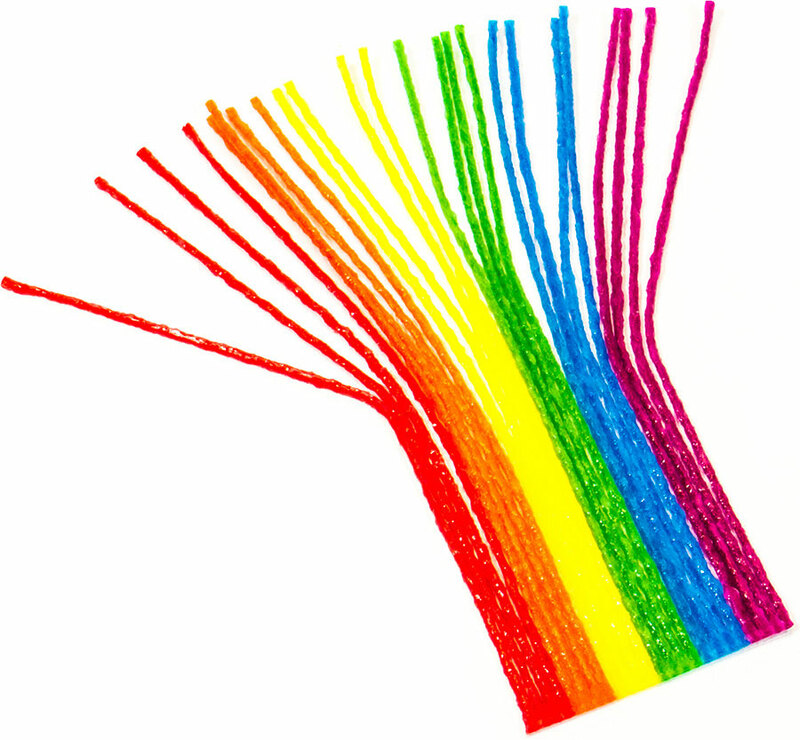 Wikki Stix ($4-$32) This product can be used in a ton of different ways. Move and bend the stix to use them as a fidget toy. Push the stix together or on paper to create beautiful and unique crafts. Or, stick them to paper to make a physical boundary while practicing handwriting or coloring in the lines. Available at Wikki Stix and Jo-Ann Fabrics. Give a gift that delivers a month’s worth of activities for you and your child to enjoy together. The six activities include sensory and interactive components, along with lots of visual support, to help promote communication and fuel parent-child play. EarlyVention includes all that is needed to create a craft, enjoy a themed sensory bin and more! This is a great, stress-free way to boost your connection with your child. See the box in action in this parent's video review. Available here. Twilight Turtle (~$30) This toy provides a calming nightlight effect by projecting stars onto the ceiling and walls of your child’s room. The turtle has a built-in timer that will turn off the light after 45 minutes. There are also light color options for your child to choose. This is a great gift for children that are afraid or sensitive to the dark. The Twilight Turtle can also be placed inside your child’s new tent/safe space. Available at cloud b and Target. The Gentle Giraffe on the Go (~$45) This smaller version of cloud b’s The Gentle Giraffe is great for traveling. The soothing animal toy has a sound box that plays white noise and other soothing sounds and can be set to a timer at whatever volume level your child prefers. Just remove the sound box when the giraffe needs to be washed! You may be able to add a weight inside for children that benefit from weighted blankets and vests. Bonus: A storybook, adoption certificate and batteries are all included. Available at Amazon. 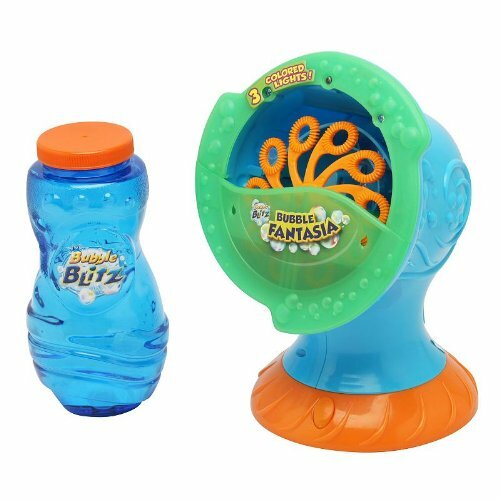 Bubble Machine ($15-$32) Let’s face it...KIDS LOVE BUBBLES!! They love to pop them, dance through them and even stomp on them. Bubbles can add life to a dull day or calm an upset child. The reality of playing with bubbles, however, is that YOU lose your breath and can’t always join in on the fun. So, get your child a bubble machine that will take the work out of blowing bubbles and allows you to play WITH your child. Promote language while playing by having your child request “more,” “all done,” “go/stop,” “my turn/your turn,” etc. You can also incorporate direction-following into the fun. Read this if you’d like to learn more about the importance of teaching turn-taking. Available at Amazon and Toys R Us. Latches Board ($22-$25) Children are naturally drawn to manipulating latches and locks. Latch boards are the perfect toy to allow children to get their fix. They also help children build fine motor, problem-solving and visual motor skills. It is easy to teach colors, numbers and counting while playing with the board. Available at Melissa & Doug and Amazon. Need some more ideas? Check out our 2015 Gift Guide for 5 more gifts that your little one will love! We'd love to hear from you! Email us at support@earlyvention.com or call us at 312.880.9277 to ask questions or share your thoughts about this post.